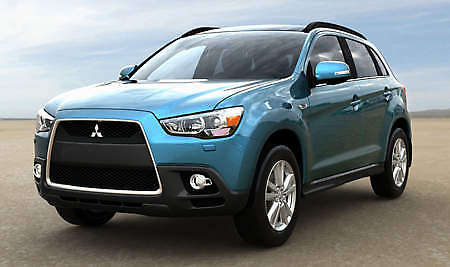 Mitsubishi will premiere its ASX compact crossover at the 80th Geneva Motor Show in March. The ASX is the European version of the Japanese market RVR, which will go on sale next month. MMC’s small SUV seats five and will slot below the recently redesigned Outlander, now with Lancer style shark nose. The Euro-spec ASX will come with an all-new Euro 5 ready 1.8-litre turbocharged direct-injection diesel engine, jointly developed by MMC and Mitsubishi Heavy Industries Ltd. Featuring “Automatic Stop & Go” technology with a 6-speed manual transmission, the ASX is said to be very good for economy and emissions. Not much details available for now, so take a look at the ASX’s rear after the jump.